UN ESCAP, 아시아 횡단철도(TAR_Trans-Asian Network)의 선벨트(SUN_belt) 정의는 무엇인가! 기존의 한국-러시아 양국 간에 추진되어 오고 있는, 남한-북한-러시아 가스관 노선이 변경되어서는 절대 안 된다. 왜냐하면, 세계물류이동에 의하여, 세계 각국의 지역적 균형발전과 경제적 고부가가치를 창출함으로써, 동북아시아의 평화와 안정을 꾀할 수 있기 때문이다. 중국이 제안한 한국-중국-러시아 가스관 노선에서 중국 CNPC 제안구간(베이징-웨이하이-백령도)은, 한국-중국-러시아 3국에 미치는 경제적 효과가 전혀 없다. 중국이 제안한 CNPC 제안구간은, 오히려 아시아-태평양 지역에서의 국제정치학적으로, 중국을 상대로 연대하고 있는, 미국-한국-러시아, 3국 등의 관계를 중국의 중심으로 이동시키려는 계책으로 오해받을 수 있다. 오히려, 중국은 러시아를 배제시킴으로써, 중국의 세계경제권의 전략에 의해, 지리-정치학, 지리-경제학으로, 남-북한 통일을 고착시키고, 러시아경제권을 중국경제권에 복속시키려는데, 그 목적이 있는 것이 아닌가 하는 의구심을 품고 있다. 중국의 우회책략에 대해 견제를 위해서라도, 미국-러시아 양국은 핵 안보정상회의 또는 군축회담을 통해서, 세계만방에 아시아-태평양 지역의 평화와 안정을 위해, 미국-러시아 간의 우호적 밀월관계가 복원되었음을 알려야한다. 미국-한국-중국-러시아 4국은 아시아-태평양 지역에서의 평화와 안정, 번영된 경제발전을 위해서, UN과 함께 공동의 노력을 해야 한다. 한국-중국-러시아 3국은 아시아-태평양지역에서의 평화와 안정을 위해서는 UN ESCAP, 아시아 횡단철도(TAR_Trans-Asian Network)의 선벨트(SUN_belt) 정의가 구체화되어야 한다. 미래의 한국-중국-러시아 3국은 유엔에 의해 추진되고 있는 UN ESCAP, 아시아 횡단철도(TAR_Trans-Asian Network)를 통해, 3국이 세계물류이동의 중심지가 됨으로써, 세계경제의 고부가가치를 창출하고, 이를 기반으로 하여, 동북아시아의 평화와 안정을 도모해야 한다. 현재, 유엔에 의해 추진되고 있는 UN ESCAP, 아시아 횡단철도(TAR_Trans-Asian Network)에 의하면, 러시아의 "울란우데-노보시비르스크-모스크바-상트페데르부르크-부스로프 스키아" 경제권과 연계되어 구간이 형성되어 있다. 남한-북한-러시아 가스관 노선의 하바로브스크와 블라디보스톡에 UN ESCAP, 아시아 횡단철도 구간의 러시아의 울란우데, 노보시비르스크, 모스크바 경제권을 세계물류중심의 삼각주로 연계시킬 수 있다면, 러시아경제권은 급성장하여 세계 경제권으로 진입이 가능하다. 향후, 통일한국 경제권의 급속한 성장은 러시아경제권의 부흥에 동반된 시너지 역할을 가져다 줄 것이다. 그 결과, 러시아경제권은 안정되고 급성장함으로써, 동북아시아의 평화와 안정에 지대한 공헌을 하게 될 것이다. 이는 곧, 불안정한 추세의 러시아경제권을 일순간에 안정화시키게 될 것이다. 더불어, 세계물류중심의 삼각주로 연계된 러시아경제권이 한국경제권과 동반하여, 세계 경제권으로 진입이 가능하다는 것이다. 세계재활기구(WRO)는 2006년12월6일. 현재 유엔에 의해 추진되고 있는 UN ESCAP, 아시아 횡단철도(TAR_Trans-Asian Network)와 연계하여 해상철도(부산-목포-상해-광조우)와 대륙철도를 건설할 것을 중국 후진타오 국가주석과 한국정부에 제안한 바 있다. 중국정부는 이를 계기로, 3각주(베이징-상하이-홍콩)에 대한 대륙철도를 신설구간을 개설 중에 있다. 한국정부에서도 2008년5월8일. 부산과 목포를 잇는 선벨트<세계재활기구(WRO) 상임의장 김정선의 이름에서 “SUN”을 딴 것임>의 대륙철도를 발표하였고, 건설 중에 있다. 한국-중국 양국에서, "부산-목포-상하이-광조우"를 잇는 해상철도 및 아시아 횡단철도(TAR)을 건설해야 한다. 이로써, 한국경제권과 더불어 중국경제권은 중국 상해를 거쳐, 유럽이나 중앙아시아까지 확대되는 동북아물류에 혁명적인 전환을 가져올 것이다. 특히, 중국경제권은 남부노선, 아세안노선, 남북노선과 연계함으로써, 선진경제 신흥중심지인 인도, 싱가포르, 테헤란, 터키 등 유럽노선과의 실현을 가져오는데 중요한 계기가 될 것이다. UN ESCAP, 아시아 횡단철도(TAR_Trans-Asian Network)의 선벨트(SUN_belt). UN ESCAP, Trans-Asian Railway (TAR_Trans-Asian Network) of the SUN_belt. UN ESCAP, Trans-Asian Railway (TAR_Trans-Asian Network) of the SUN_belt What is the definition! Existing Korea-Russia has been promoted between the two countries in South Korea-North Korea-Russia gas pipeline routes should never be changed. Because the world by moving logistics, international economic development and regional balance by creating high-value, could seek peace and stability in Northeast Asia since. 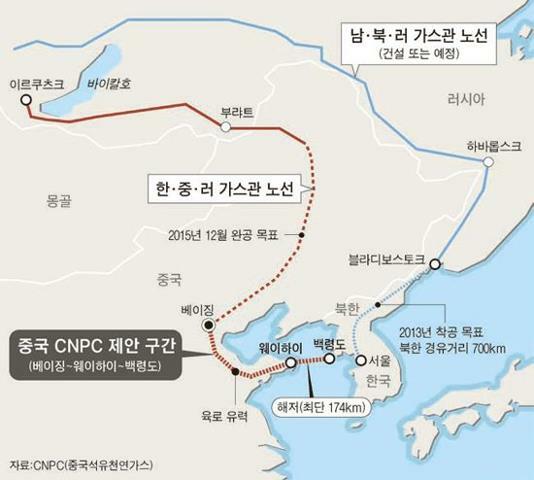 China proposed Korea-China-Russia gas pipeline routes proposed in the Chinese CNPC interval (Beijing-Weihai-Baekryeong Island), the Korea-China-Russia on three countries have no economic effect. China CNPC's proposed interval suggests, but rather the Asia-Pacific region as in the international politics, and solidarity against China, the United States-Korea-Russia relations, including the three countries want to move to the center of China can be mistaken for a plan is. Rather, China is ruled out by Russia, China, the world's economic strategy, by geo-politics and geo-economics, the South-North unification, and adhere, the Russian economy in the Chinese economy to try to subjugate, its purpose is to have is not is having doubts that. For the containment of China in order to bypass any maneuver, US-Russian nuclear security summit the two countries or through the disarmament talks, the world's nations in the Asia-Pacific region for peace and stability, US-Russian relationship has been restored between the friendly honeymoon shall inform. United States-Korea-China-Russia four countries in Asia-Pacific peace and stability in the region, for prosperous economic development, UN should make joint efforts with. Korea-China-Russia, the three countries in Asia-Pacific region for peace and stability in the UN ESCAP, Trans-Asian Railway (TAR_Trans-Asian Network) of the SUN_belt the definition must be embodied. Future of Korea-China-Russia in the three countries is being promoted by the United Nations UN ESCAP, Trans-Asian Railway (TAR_Trans-Asian Network), through the three countries by becoming the center of global logistics moving, global economy and the high added value, and based on it, promoting peace and stability in Northeast Asia should be. Currently, the United Nations being promoted by the UN ESCAP, Trans-Asian Railway (TAR_Trans-Asian Network), according to Russia's "Ulan-Ude-Novosibirsk-Moscow-St. Petersburg pedestal Le Strasbourg-Booth rope seukiah" economies in conjunction with section formed is. South Korea-North Korea-Russia gas pipeline routes, Khabarovsk and Vladivostok in the UN ESCAP, Trans-Asian Railway sections of the Russia's Ulan-Ude, Novosibirsk, Moscow economies in the world logistics of the Delta as a link if you can, the Russian economy booming and the world economy can be entered into. In the future, a unified Korea's rapid economic growth associated with the synergistic role in the revival of the Russian economy will bring. As a result, the Russian economy by the stable and rapid growth, peace and stability in Northeast Asia will be a great contribution to. By this, Russia's unstable economic trends will lead to a stabilization in an instant. In addition, the global logistics associated with the Delta Economic Zone, and with South Korea and Russia, economies, entry into the world economy is possible. 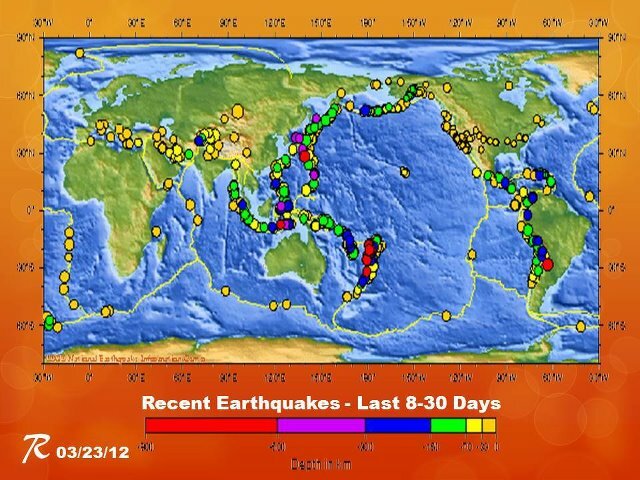 World Rehabilitation Organization (WRO) of the December 6, 2006. Currently being pursued by the United Nations UN ESCAP, Trans-Asian Railway (TAR_Trans-Asian Network) in conjunction with the Marine Railway (Busan-Mokpo-Shanghai-Guangzhou) and the continent and to build railways in China President, Mr. Hu Jintao and South Korea was proposed in is. The Chinese government this occasion, three footnotes (Beijing-Shanghai-Hong Kong) for the continental railways are being opened new sectors. In South Korea May 8, 2008. SUN_belt linking Busan and Mokpo <World Rehabilitation Organization (WRO) in the name of the Chairman of the Standing Jung Sun Kim "SUN" will be named after> the announcement of the continental railroad was being built. Korea and China in both countries, "Busan-Mokpo-Shanghai-Guangzhou" linking marine railway and Trans-Asian Railway (TAR) must be constructed. This, along with Korea Economic Zone, Shanghai, China through the Chinese economy, which expanded to Europe and Central Asia, Northeast Asia Logistics will bring a revolution in the transition. In particular, the economies of the southern route in China, ASEAN routes, routes and by linking North and South, advanced economies emerging center in India, Singapore, Tehran, Turkey and European routes with the realization will be an important opportunity to bring.